Snig is an intergalactic entertainment host who often appears at various special events across the Empire/Republic. He nearly always hosts his shows with fellow presenter, Oopla. 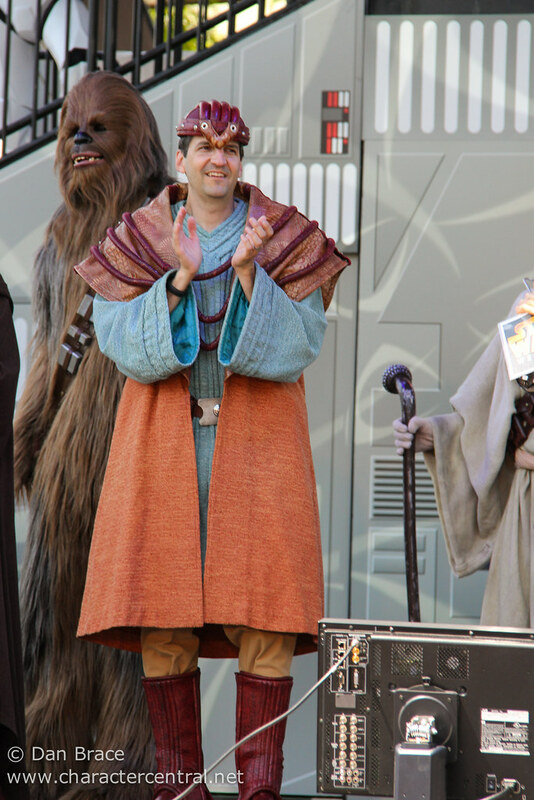 Due to the really unfortunate cancellation of Star Wars Weekends, this character no longer appears at the parks. Snig also went by the alter ego Lele.